To celebrate the first Fools & Fans Beer Festival in Greyton we are running a competition across Facebook, Twitter and Instagram. 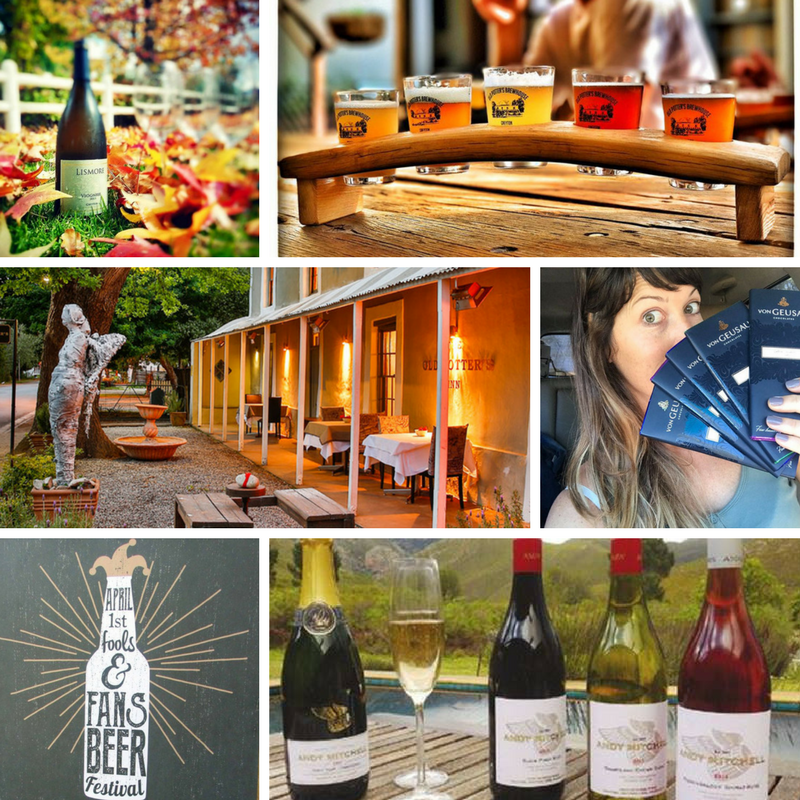 If you love beer, wine, road trips, music or festivals you’d be a fool not to enter! 2 tickets to the festival + a case of festival beers. A ‘Taste of Greyton’ hamper with an array of chocolate from Von Geusau Chocolates and 2 gift packs of world class wines: a Lismore Chardonnay and Lismore Age of Grace Viognier from Lismore Vineyards and the super special 2013 Décolletage (Red Bordeaux blend) and Chenin Blanc from Andy Mitchell wines. A midweek break for 2 at The Old Potter’s Inn & Brewhouse. All you have to do is Retweet, Share or Comment on our competition post naming the person you would love to take to the Fools & Fans Beer festival with you. All entries go into a draw. 3 people will be randomly selected from the entries and one of the prizes allocated to each of the 3 winners. The draw will take place on Thursday 30th March 2017 at 18h00 CAT.